Applicable States/UTs : Kerala, Tamil Nadu, Andhra, Telangana, Karnataka, Goa, Maharashtra, Mahe, and Andaman & Nicobar. 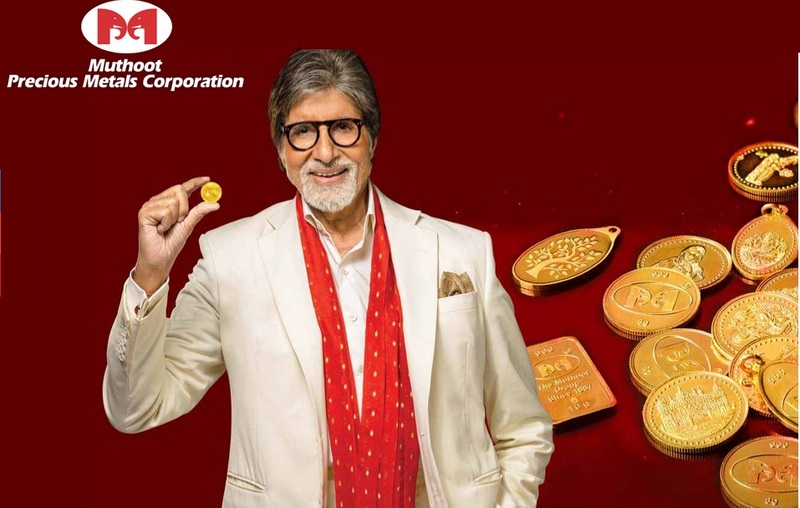 The contest is known as “Muthoot Golden Utsav” Offer. It is organised by Muthoot Finance. Coverage of the contest is across South India, at Kerala, Tamil Nadu, Andhra, Telangana, Karnataka, Goa, Maharashtra, Mahe, and Andaman & Nicobar. ** The contest is valid for Resident citizens of India only. ** The contest is applicable only for the loans availed by the Customers, against the collateral security of gold ornaments, from Muthoot Finance Limited Branch Offices, situated in the afore-referred States/UTs. ** If any customer avails more than one such loan, during the contest period, he/she shall be eligible for participation only once, with One entry. ** Further, for being eligible to participate in the contest, the minimum Loan Amount availed by a customer (except renewal of Loans), should be Rs. 25,000/-. The period of the contest shall be, from 5th March, 2019 to 31stMarch, 2019, extendable at the sole discretion of the Company. The participation procedure i.e. the details of contest and instructions, are available at Company’s Website at WWW.MUTHOOTFINANCE.COM . The Lucky Draw for the eligible entries shall be conducted weekly. All the eligible winners shall be selected through the Lucky draw (except for Sundays, Gazette, State & other Holidays). The Company reserves the rights to conduct such Lucky Draw, in the manner and mode, as it may deem fit and appropriate. The customer has to participate in Q&A contest to win the gold coin. Question: Why Muthoot Finance Gold Loan is the best? In Tamilnadu, the participation contest for the eligible entries shall be conducted weekly. ** The Winners, will be declared every week. ** Each winner shall be entitled for a Gold Coin weighing 1 Grams (24carat, 999 purity). ** The prizes are subject to change as per the sole discretion of the Company. ** The winners shall be intimated by SMS or call on the registered mobile number or any other mode as may be decided by the Company, at its sole discretion. b) his/her Valid Photo Identity proof. ** Images used in the advertisement are for representative purposes only and actual prize may differ in look and feel. ** The interest rate of 1% per month, is presently applicable for the MML and MHP schemes of the Company. ** The Company is, within its absolute rights and discretion, to change, alter, withdraw and/or revise such interest rate, at any point of time. ** It shall be the sole responsibility of the declared winner to collect the prize from the communicated place/location, within 10 days from the date of intimation by the Company. ** If the declared prize is not claimed by the winner within the said stipulated period, in such event, the Company shall be within its right to forfeit the claim. ** Consequently, the winner shall automatically be deemed to have surrendered his/her rights to the said prize and also refrain from preferring any claim against Company arising therefrom, in future. ** The Winner shall be responsible for any additional, incidental expenses required to be incurred to avail the winning prize. ** All taxes, insurances, transfers, other incidental and related expenses as the case may be, unless specifically stated, shall be the sole responsibility of the declared winner. ** Prizes are non-transferable, non-negotiable, subject to availability and without an option to exchange in terms of cash money. ** The contest shall be subject to Force Majeure Clauses. ** Participation in the contest implies acceptance of all the terms and conditions hereof. ** Further, by participating in the contest, the participant irrevocably authorizes the Company to contact him/her for the other products & services offered by the Company (including through SMS). ** The terms and conditions are governed in accordance with the laws of India. Any dispute shall be subject to the jurisdiction of competent courts at Ernakulam. ** Company is fully committed to follow laws related to the collection of information/ data and in accordance to its carefully considered policy on information/ data collection. ** All participants are advised to provide correct details about themselves at the time of registration. ** It is clarified that Company shall not be held liable for any damages direct or indirect for any wrong addresses and/or contact details submitted by the participants. ** Company reserves the right to match the details submitted at the time of delivery of the prizes and in case of any discrepancy take measures including withholding the prize.